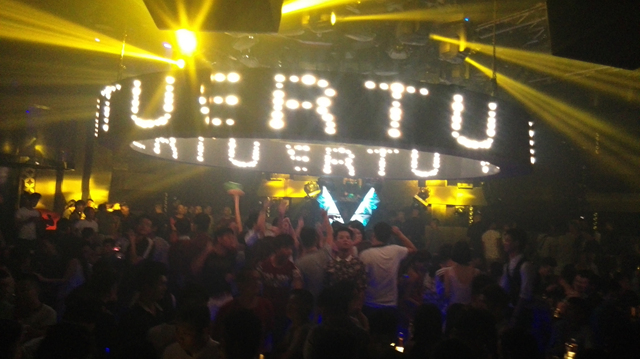 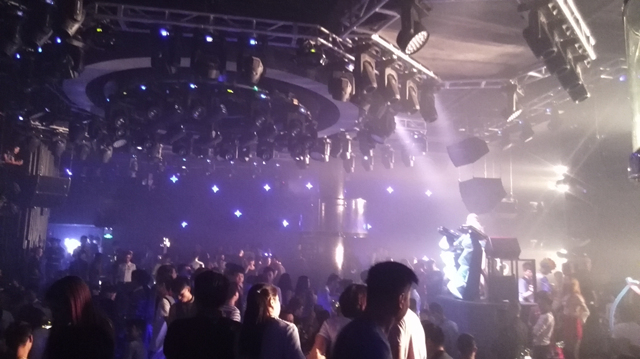 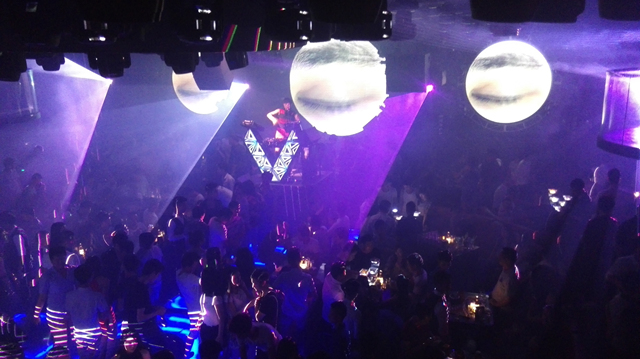 Club Vertu is opened in July 2015, it adapted all the creative designs this year and built the club into a mordern and fun place. 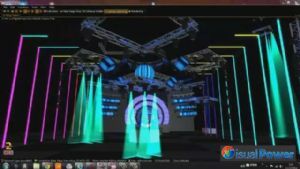 The whole site uses American ADJ LED lights. 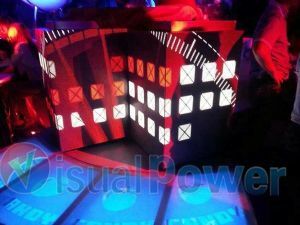 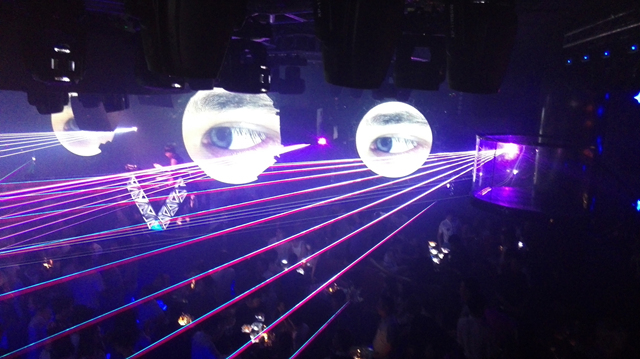 with three round shape led display as the DJ background. 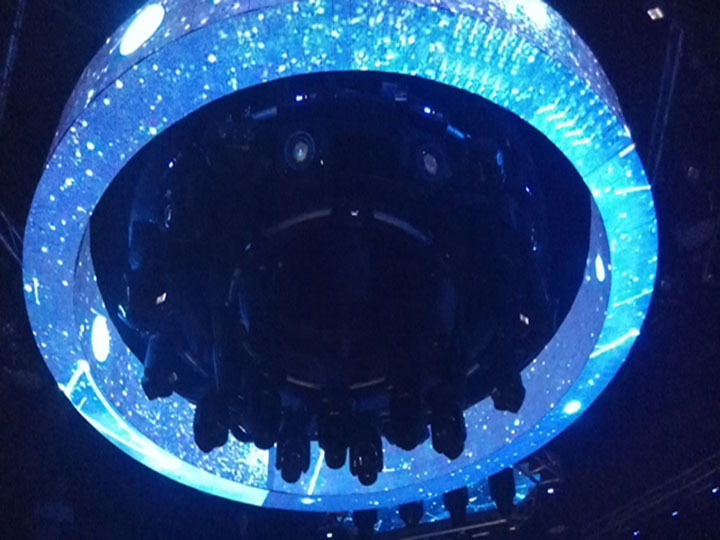 In the center of the ceiling, there is two layers rotating and wagging led lighting truss, and the external ring is made of a three sides LED ring shape display, which is also with Dynamic lifter which can make it lift up and down and wagging. 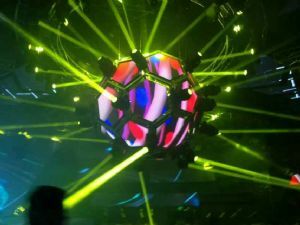 The three moon shape led displays are 3D video mapped, which can change the display content with the live DJ music and the site atmosphere. 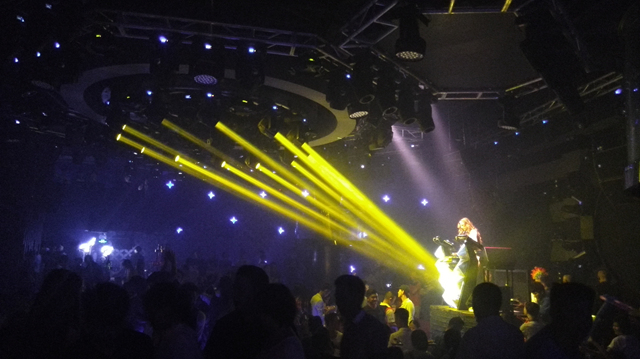 different music stryle and video content work together makes the site atmosphere alive. 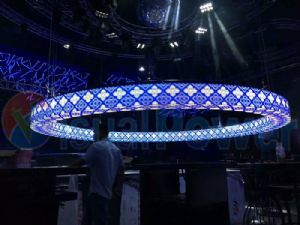 Three layers truss: first layer: 3D ring shape led display, second layer: kinetic led lighting truss, third layer: smaller diameter dynamic led lighting truss.